marginalia: Filipino Fridays 2014 #2: Have you ever wanted to write a book? 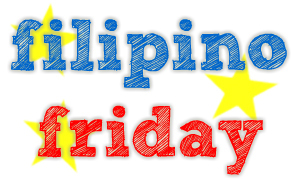 Filipino Fridays 2014 #2: Have you ever wanted to write a book? My answer to the prompt is a resounding OH YES. "As a reader, have you ever thought about writing a book? What kind of books/stories do you want to write? Or are you now a published author, and what compelled you to go fulfil this dream? How was your journey from reader to writer? How did you go about getting your book out there?" In fact, I began writing stuff when I was still in high school - this was in the early 1990s - something similar to the YA series that was popular back then: Sweet Dreams novels. Understand that at the time, these books were my main reading materials (apart from school readings, of course) and I was largely enticed by the way the American high school students lived. Also, I thought, how difficult is it to write a book like this, anyway? So I tried my hand at writing, using the old typewriter that my father used at home. My plot was simple: a high school Filipina goes to the United States to live with an aunt for a year, and there she meets a gorgeous American boy when she auditions for the high school glee club. I had grand fluffy scenes in mind (one involved a public serenade, hahaha) which never got written. I think I was able to write up to two or three chapters before I completely abandoned the idea in favor of school. No, I am not a published author, as I have (for now) jettisoned the idea of writing anything creatively. My work involves much legalese and I'm afraid all my literary/creative juices were dried up by the legal gobbledygook in my head. Perhaps, I could try to publish something when I'm more, shall we say, accomplished in this field, but not fiction. Reference books, perhaps, or a compilation of essays on the legal profession? I am open to the idea. And oh, now I remember my typing class, which I was very bad at. Typewriters, those unwieldy little contraptions. Hahaha! TIN: A cappella. YIIIII. Hahaha.